Tilray to focus investments on U.S., Europe as Canadian assets "overpriced"
Cannabis producer Tilray Inc. plans to focus the majority of its future investments on the U.S. and Europe, where the growth potential is highest, and will not purchase "overpriced supply assets" in Canada. Tilray's chief executive Brendan Kennedy said while Canada will continue to be an important market for the Nanaimo, B.C.-based company, the opportunities south of the border and across the pond are "orders of magnitude larger." "We will not purchase or invest in what we believe to be overpriced supply assets in Canada, which we believe will erode in value in (the) medium- to long-term as the market normalizes... We believe that the field of battle has changed and that the U.S. and Europe are going to be more important over the long-term," he told analysts on a conference call on March 18. Kennedy made these comments as Tilray reported its latest earnings for the quarter ended Dec. 31, which included sales from recreational cannabis in Canada after legalization in October. Tilray saw revenues surge by more than 200 per cent year-over year to US$15.5 million during the period. However, its net loss for the period also deepened to US$31 million or 33 US cents per share, compared to a net loss of US$3 million or four US cents per share a year earlier. Analysts had estimated quarterly revenues of US$14.15 million and a net loss of US$10.43 million or 12 US cents per share, according to those surveyed by Thomson Reuters Eikon. Tilray said that the increased net loss for the quarter was primarily due to the increase in operating expenses due to growth initiatives, expansion of international teams and costs related to financings and merger and acquisition activities. The company's average net selling price per gram rose to US$7.52, up from US$7.13 during the same quarter one year earlier. For the full 2018 financial year, Tilray reported revenue of US$43 million, up 110 per cent from the previous year, and net loss of US$67.7 million compared to US$7.8 million in 2017. 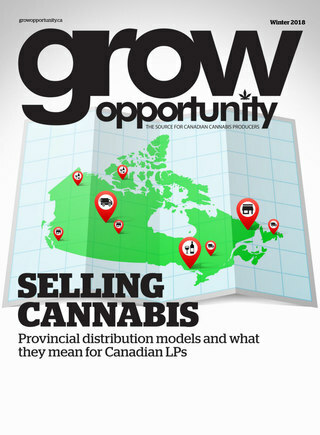 "We achieved this growth despite supply-chain constraints across Canada that have created pricing pressure for cannabis that meets our quality standards, forcing us to source from other suppliers," Kennedy told analysts on a conference call. Since Canada legalized cannabis for adult use on Oct. 17, there have been product shortages which have, among other things, prompted some provincial government retailers to scale back on store hours or limit the number of stores. Kennedy said during its earnings call in November it had been exploring buying wholesale to bridge the supply gap, but there was far less pot available and a lack of high quality supply on offer. Tilray's chief executive on March 18 said he expected this situation to change in the coming months as more supply comes online. "Over the next 18 months, we believe that we will be oversupply just as we have seen in certain U.S. states as operators in newly legal markets race and government regulators catch up to find an equilibrium between supply and demand." Meanwhile, although cannabis remains federally illegal in the U.S., Kennedy believes the U.S. farm bill passed late last year that opened the door to mainstream sales of hemp-derived CBD represents an "excellent opportunity." Last month, Tilray announced a deal to acquire Hemp Hearts-maker Manitoba Harvest for up to $419 million in cash and stock as the two companies look to launch CBD-infused products where permissible in the U.S. The recent resignation of the FDA commissioner is also going to help speed up the clarification of the agency's stance on CBD, he added. As well, he adds, "we are a lot closer to federal legalization in the U.S. than most people realize." Meanwhile, Tilray has recently expanded its partnership in Canada with pharmaceutical giant Sandoz globally, and expects to add another half dozen countries as export destinations in the wake of the European Parliament's recent decision on medical cannabis. "We are seeing rapid growth, not only in the number of countries but the number of patients within individual EU countries."